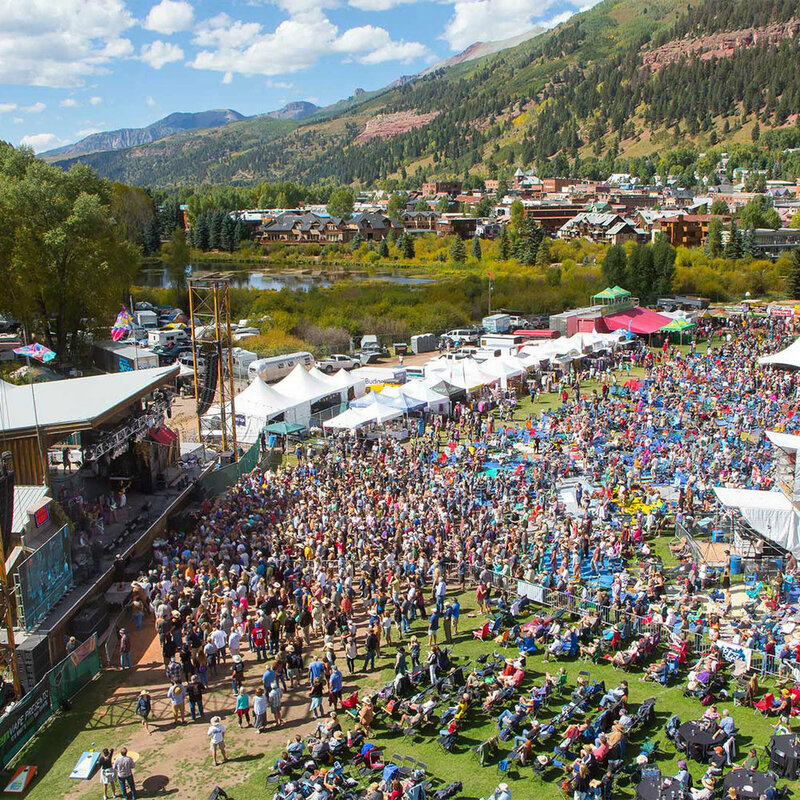 Renowned as one of the most scenic and intimate music festivals in the country, Telluride Blues & Brews Festival is located in the world-famous mountain town of Telluride, Colorado. The multi-stage celebration of music and craft beer offers an eclectic mix of live blues, funk, indie, rock, jam-band, gospel and soul performances accompanied by some of the best craft breweries in the country. The Festival also features kids activities (climbing wall, bounce houses, bungee trampolines, and parades), cozy late night club shows, a 5k fundraiser race, free morning yoga sessions, local and regional food and craft vendors and so much more. Set at the beginning of the golden fall season, Telluride boasts a number of unique outdoor activities, including hiking, mountain biking and a free gondola between the Town of Telluride and Mountain Village. 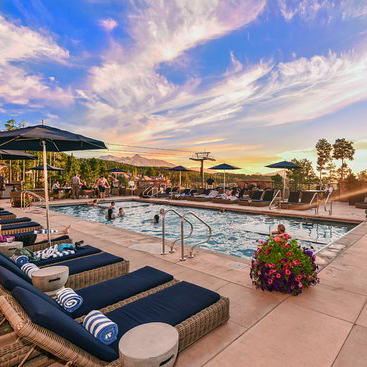 It is a place of legend, nestled at the end of a lush canyon and surrounded by waterfalls flowing from some of the most rugged peaks in the Rocky Mountains. The natural beauty of Telluride is unmatched by anywhere in the country and perhaps the world. The town stretches eight blocks wide and twelve blocks long and boasts 300 days of sunshine each year. With colorful Victorian-era homes, clapboard storefronts, boutiques, art galleries, gourmet restaurants, historic buildings and more, Telluride is truly a delight to explore. The friendly locals are embraced for our authentic mountain character, unpretentious attitude, and celebration of adventure. Our town is committed to preserving Telluride's historically significant architecture, open space, traditional design elements and, most of all, Telluride’s small-town mountain lifestyle. Because of its significant role in the history of the American West, the core area of Telluride was designated a National Historic Landmark District in 1964. This listing is the highest level of historic status available from the United States Secretary of the Interior. These sites are so special that they are eligible for consideration to become national parks. The Festival site, Telluride Town Park, is a beautiful open space strategically located at the end of our town’s Main Street. Anchored by the state-of-the-art Main Stage and complimented by the comfortable, indoor Blues Stage and forested festival campground, the Festival venue ranks as one of the most scenic music locations in the world. The towering mountain peaks and glowing aspen trees that dot the hillsides provide the perfect amphitheater for music to resonate through the mountain canyon. When B.B. King first performed here in 2004, he sat on the stage, looked out at the mountains before him, and said, "Out of the 90 different countries I've been to, I've never seen anything more beautiful than what you have here." It's not the altitude that'll take your breath away. It's the views. Encompassed in a box canyon and surrounded by 13,000 and 14,000 foot mountain peaks with unmatched beauty, the Telluride Blues & Brews Festival experience expands far beyond the parameters of the awe-inspiring Telluride Town Park with endless recreating, but is rooted in presenting an intimate connection to the best performers in music. Throughout the years, the Festival has hosted some of the most legendary artists on our Town Park stage culminating in a rich legacy of once-in-a-lifetime performances from artists like The Allman Brothers Band, Lou Reed, BB King, Robert Plant, James Brown, Joe Cocker, Etta James, Willie Nelson, ZZ Top, The B-52’s, Joe Walsh, The Black Crowes, Peter Frampton, Steve Winwood, Taj Mahal, Bruce Hornsby, Sharon Jones and so many more. Our team strives to curate an artist lineup with a consistent, diversified and eclectic mix of blues, rock, soul, funk, gospel, roots, jam bands, and stand-up comedy. The 2019 lineup will be announced in early spring. Click below to see past festival lineups, photos and video recaps. Every September since 1994, an elite group of America’s best craft breweries travel to Telluride, Colorado to showcase their beer and cider. What started as the Telluride Brewer's Festival on Telluride's Main Street, has grown into today's Telluride Blues & Brews Festival, hosting 56 of the best craft breweries in America. Each attending brewery and their beers are unique, showcasing distinct flavors, colors, aromas and personalities. Every beer is a work of art taking months and sometimes years to perfect. Just as our artist lineup showcases a variety of distinct musicians, our craft beer lineup showcases a variety of distinct craft beers. On Saturday, September 14, the Festival hosts the Grand Tasting from 12 pm - 3 pm to celebrate the craftsmanship and excellence of craft beer. The 25-year-old Grand Tasting is widely regarded as the premiere craft beer event in the Southwest and is the perfect opportunity for thousands of festival attendees from all over the world to explore a vast offering of a dynamic variety of flavors in over 170 styles of beer and cider. As you walk into the Festival grounds in the beautiful Telluride Town Park, you will be handed a special souvenir tasting glass. This tasting glass is your vessel to sample some of the best craft beer and cider in the world. From easy-drinking lagers, fruity sours and hazy IPAs, to heady stouts, porters and ales, the variety of beer and cider are endless, while costumes, high-fives, smiles and massive crowd-wide cheers are all frequent. All weekend long, the Festival features seven different beers on tap from our partner Sierra Nevada Brewing Co, five different styles from select breweries served in the House of Brews, and a short list of rare, exclusive, limited-edition rotating kegs served at the High Altitude Craft Beer Lounge. The Festival offers endless opportunities to discover your next favorite beer!